When we use fiber laser cutting machine to cut metal, start up machine properly not only can prolong machine life, but also help us to avoid many unnecessary troubles such as short circuit, burn out machine parts, etc. 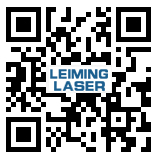 Today LEIMING LASER will introduce you the correct start sequence of fiber laser cutting machine. Leiming laser manufacture fiber metal laser cutter from power 300w to 6000w,now let us study the cutting thickness of the IPG 6000w Other information about the different fiber laser power,just e-mail us to sale@lmcnclaser.com ,or add whatsapp:+8615165021590 . If you want to cut metal sheet more than 20mm thickness,Leiming fiber laser 6600w is your good choice.More information about other fiber laser ,feel free to send e-mail to sale@lmcnclaser.com or call us : +8653188737923,and you can add whatsapp:+8615165021590. As I have shared the cutting thickness of 1000w and 3000w fiber laser ,now please look at the 2000w fiber metal laser cutting thickness,hoping the parameters will help you in choosing the right machine.